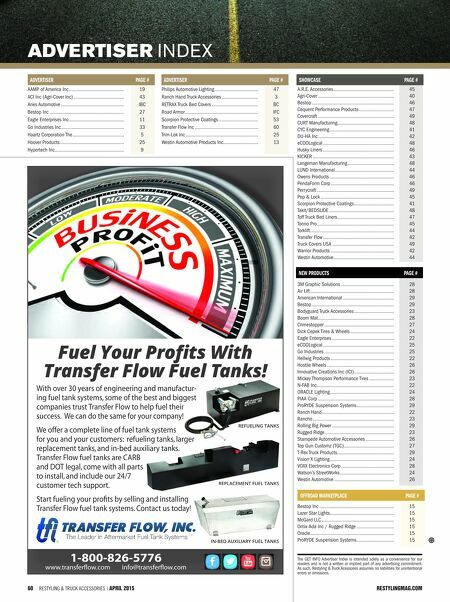 ARIES is making big improvements in the way we do business, adding more ser vices for the dealers to better ser ve our customers. We reorganized our warehouses, increased inventory levels and added inventory feeds. On the product level, we have made our Jeep ® modular bumpers easier to order, making each complete kit (center section, sides and brush guards) available under its own par t number. With the launch of the new ARIES website scheduled in 2015, we have refined our data and immensely expanded our video content, photography and written content. Look for these and even more exciting features throughout 2015. From our grille guards, bull bars and side bars to our tube doors, cargo lids and floor liners, ARIES has the products you need to conquer the Jeep ® aftermarket. 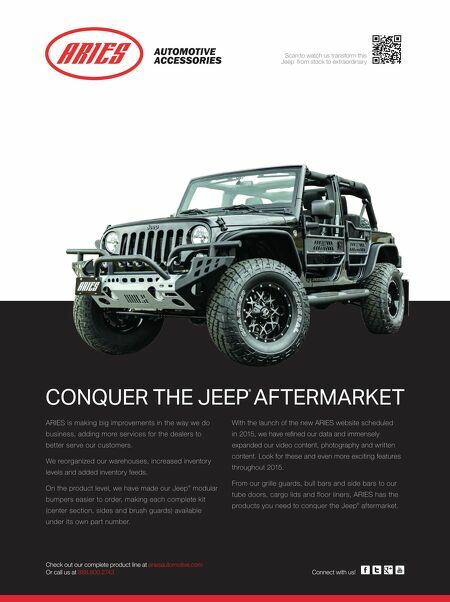 CONQUER THE JEEP AFTERMARKET ® Or call us at 888.800.2743 Check out our complete product line at ariesautomotive.com Scan to watch us transform this Jeep ® from stock to extraordinary Connect with us!